Alabama's Real Governor Announces Resignation Day After Ivey Is Sworn In As Governor :: RickeyStokesNews.com! NOTE: Everyone around the Governor's circle has always referred to Steve Pelham as the " Real Alabama Governor ". That he ran the show and Ivey was the face. Odd that Ivey was sworn in as Governor on Monday and Steve Pelham resigns on Tuesday. If Kay Ivey did that in her first 100 jobs, man she could almost walk on water. But those who want to be real, and I am not trying to defend Robert Bentley, it was really Robert Bentley's work that had Alabama on the uphill swing. Ivey just took credit for what Robert Bentley has been doing. Ivey was Lt. Governor for what 7 years before being Alabama Governor? What was accomplished by her in those 7 years? Now with Pelham leaving, it will be interesting what Ivey does. Who does she pick that will be the real Alabama Governor? Former Alabama Slime Ball Governor Bob Riley is still controlling a lot of Montgomery strings. 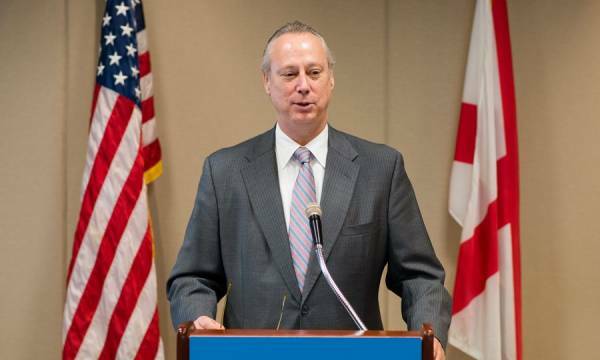 MONTGOMERY: Chief of Staff Steve Pelham is officially resigning from Gov. Kay Ivey’s office, a release from the governor’s office said Tuesday morning. Former congressman Jo Bonner will take Pelham’s spot. Pelham’s resignation was first reported by APR earlier on Tuesday. Bonner joined Ivey’s staff in December as an advisor — a move that seemed to be in preparation for Pelham’s eventual departure.